More wonderful customer reviews from more wonderful women! Have a look at what our customers are saying about the dresses they’ve borrowed. From a ball, to a red carpet event, these women look nothing less than stunning! 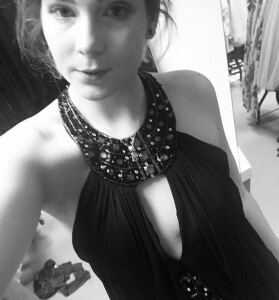 Ebony is wearing the Ghost dress in Black by Ruth Tarvydas and she looks stunning! Posted March 1st, 2017 in Girl Meets Dress Customer Review, Uncategorized. Tagged: Ball dresses, cocktail dresses, designer dress hire, Designer dresses, Dress Hire, Dresses, Evening Dresses, Girl Meets Dress, gown, happy customer, happy customer feedback, happy customer review, Hire dresses, party dresses, Rent designer dresses, rent dresses, Ruth Tarvydas, university ball. Anna Kennedy OBE wearing Girl Meets Dress! Beautiful Customers Wearing Girl Meets Dress! 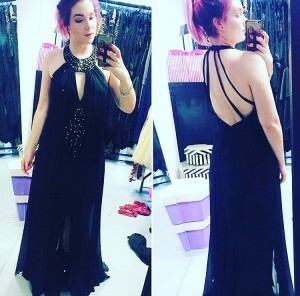 Customer looks stunning in Girl Meets Dress! Girl Meets Dress featured in the Pool! Honest Girl Meets Dress Review!